The best part of world travel is the excitement and adventure of exploring new places, meeting new people and experiencing different cultures. 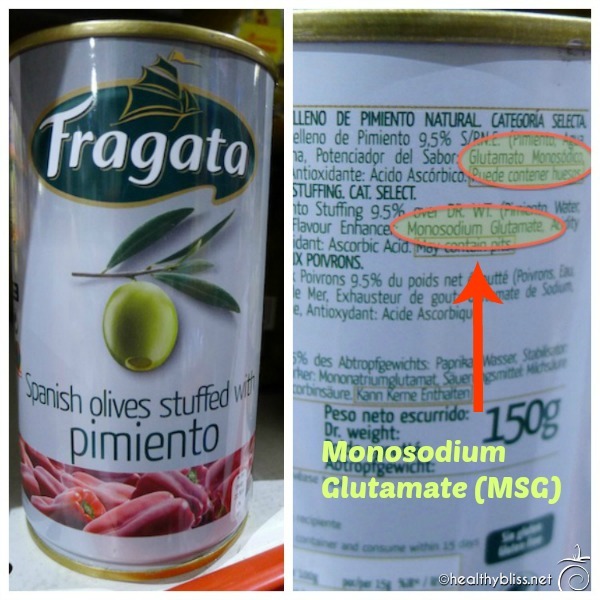 The worst part if you are sensitive to gluten or Monosodium Glutamate (MSG) can be the food. While most people dream of eating exotic foods from around the globe, food allergy sufferers see it as a minefield, one which is even harder to negotiate a language barrier. 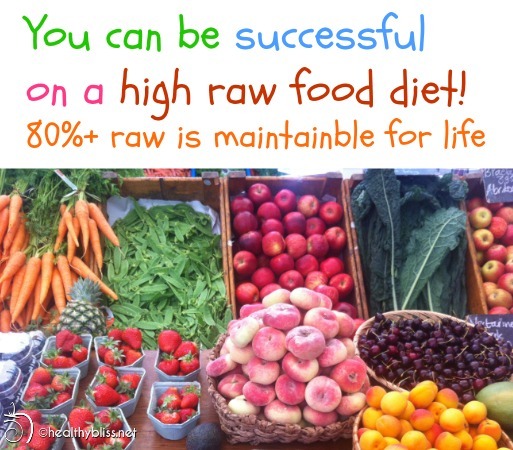 And yes, this applies even to raw foodists! It can be very difficult in foreign countries to explain that you don’t want bread with your salad or croutons or crostini or some other fried breaded condiment on top. 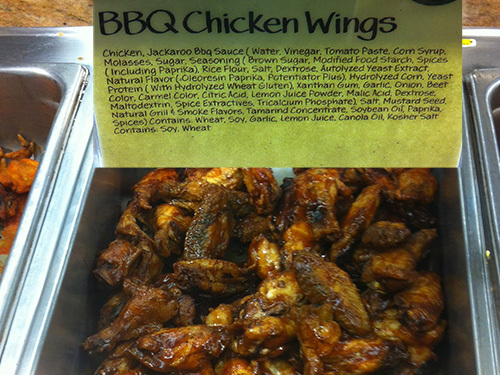 It can be even more difficult to ask for a salad dressing with no MSG and sauces with no MSG. 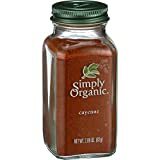 Even if you do order something fresh like homemade salsa or guacamole, there can be hidden added ingredients like chili sauce which will inevitably contain MSG. The result? Spending your perfect dream vacation night at home in bed with a migraine, itchy rash, puffy face or rapid heartbeat wondering why you can’t seem to relax on your holiday! No way, we don’t want that! Actually, these recommendations apply to any high-raw food people eating out, even in their own country…and you will soon see why. A connection between Gluten Foods and MSG/Ribonucleotide Intolerance? 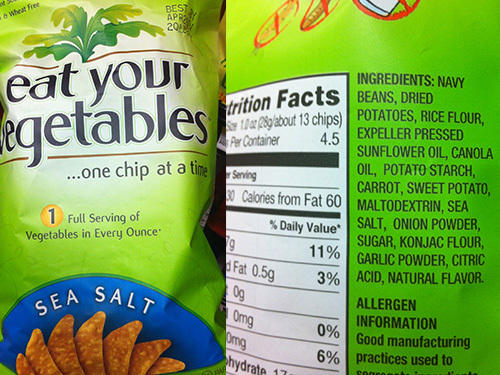 On thing that I have found in my experience is that the majority of foods that contain MSG also contain gluten. I discovered this in my own health journey when trying to determine the cause of an unbearably itchy rash that I suffered with for 2 years while living in Australia. After finally going on an elimination diet and taking all wheat and gluten out of my diet, my rash improved by about 85%. 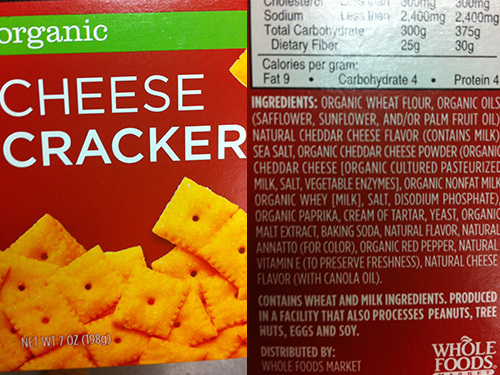 But, I was still occasionally eating flavored rice crackers, dried seaweed and flavored tofu products which have no gluten but do contain ribonucleotide, the food additive that I now know was the cause of my ‘ribo rash’. After I removed all ribonucleotide-containing foods out of my diet, the rash cleared entirely, 100% without any reoccurrence! And, I went back to eating plain wheat and gluten products with no problem (this was about 1 year before I went on a raw food diet). 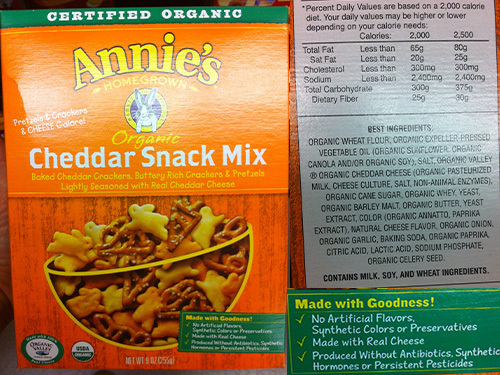 What I discovered is that most snack foods, soups, sauces dressings, and flavored foods that contain MSG and/or ribonucleotide, also contain gluten. It is my opinion that some people are in fact misdiagnosed with a gluten intolerance when actually they have an intolerance to MSG and ribonucleotide but are ‘labeled’ with a gluten allergy because it’s an easy and obvious label to put on a patient with the ‘typical’ gluten intolerant complaints. 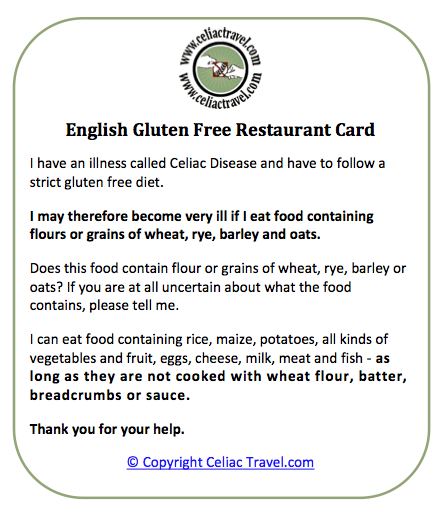 (Note: Gluten intolerance is different to a full gluten allergy (Celiac Disease) and most people fall into the intolerant category, one which is not able to be tested for definitively). When you look at the reactions that people get from gluten vs. MSG and ribonucleotide (itchy rash, migraine headache, insomnia, irritability, anxiety, puffiness, bloating, etc. 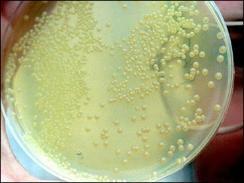 ), you will see that they are nearly identical reactions. 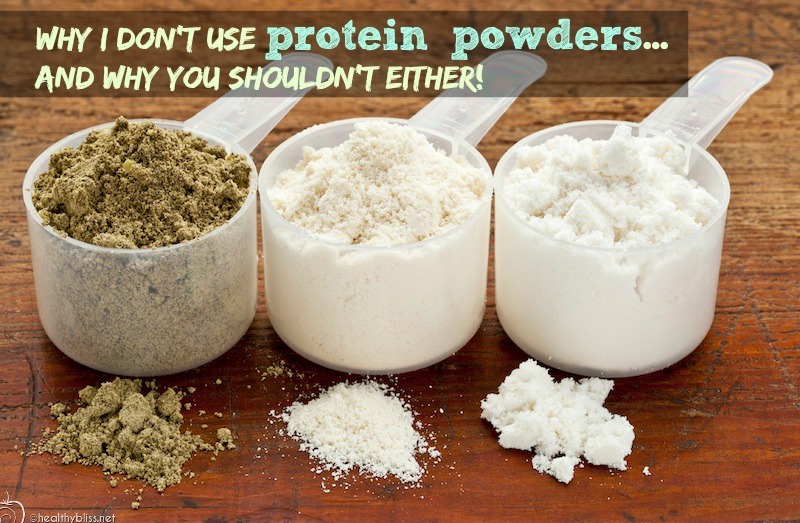 I’ve even seen many raw food clients who still complain of itchy rashes because, for example, they may be eating Vegenaise as a treat or they complain of headaches from drinking high-protein shakes with pea protein (another form of MSG in disguise). Even nutritionists and raw food chefs come to me for an Iridology session and we identify offending food additives in their diet which are making them sick. My point is: people don’t know about food additives and they are not taught about them in school! Well, if the ‘experts’ don’t know how to eat clean food themselves, then how can one possibly eat gluten and additive-free food while traveling? 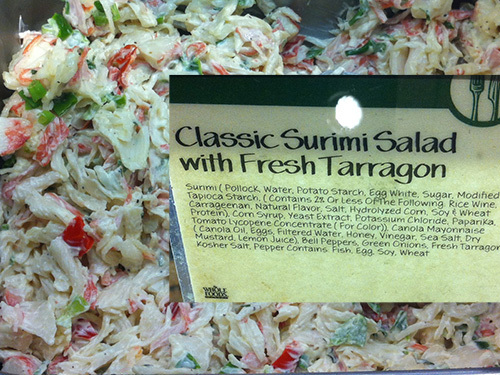 First, order salads with no salad dressing. Ask for plain fresh lemon on the side. 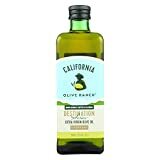 If you like, you can also ask for some extra-virgin olive oil. 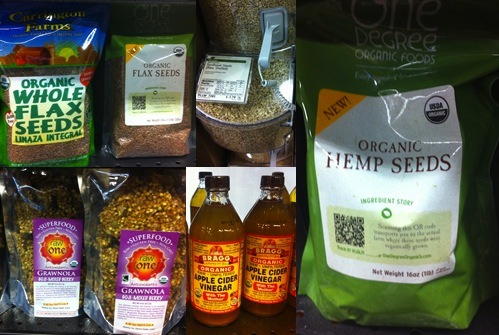 I personally bring my own organic cayenne pepper, cumin and paprika to add to all of my salads in restaurants. Stay away from sauces, even if they look fresh and smell yummy. Yes, a little bit can do a lot of harm (think migraine on the beach under the moonlight, not good!). 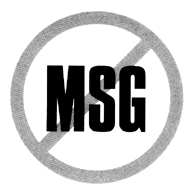 In Asia, you will always have to be careful with MSG, because in addition to the sauces, they love to add MSG in powder form to food. 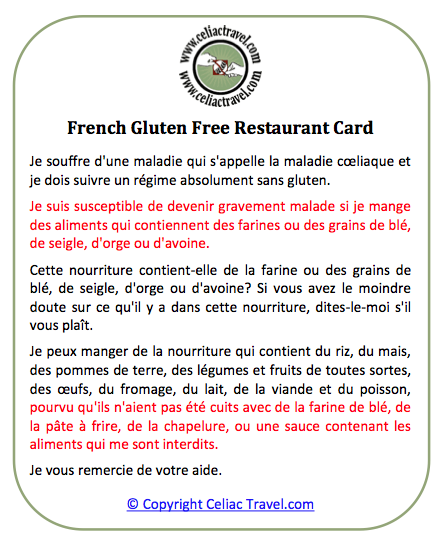 Take the gluten-free restaurant card that I suggest you travel with below and add “NO MSG” in the language that you need. You can use Google Translate for this. Take care of the details before you leave for your trip. In South America, if you are sensitive to food additives, you will most likely have a problem with their salt which has a non-caking agent in it called Yellow Prussiate of Soda (YPS), a derivative of arsenic. This has proved to be a huge problem for me on my travels in Central America and South America, but luckily I figured out the problem pretty quickly. Bring your own Himalayan Salt. 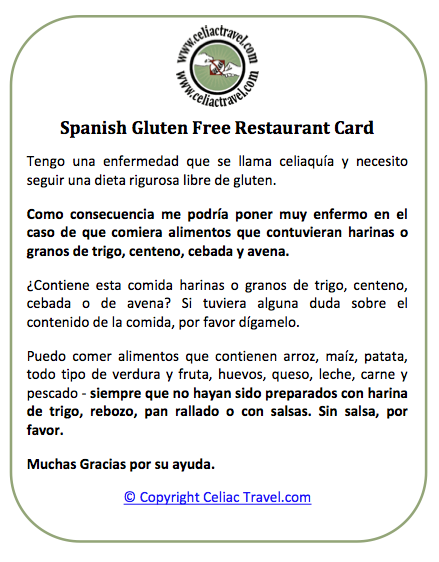 Add the words “No SALT” in Spanish “Sin Sal” to the bottom of your gluten-free restaurant card. Do NOT trust what the waitstaff tell you. That applies to all countries, everywhere, all the time. 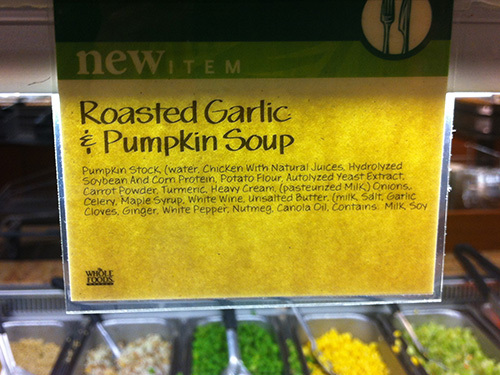 People who are not sensitive to gluten or MSG have no idea what’s in a chipotle sauce or a aioli sauce or a soup stock cube. They are thinking, ok this person can’t eat bread or Chinese food. I have had some of the best restaurants (and raw food restaurants) serve me food containing MSG or ribonucleotide when they swore there was none. I’m sure that has happened to many others too! Be sure your card gets to the chef. If unsure, don’t eat it! Why take the chance? It’s simply not worth it. In a bind, I have ordered plain rice or a plain baked potato or plain steamed veggies because that was the only uncontaminated food I could order. This will happen on occasion if you are traveling in different countries. 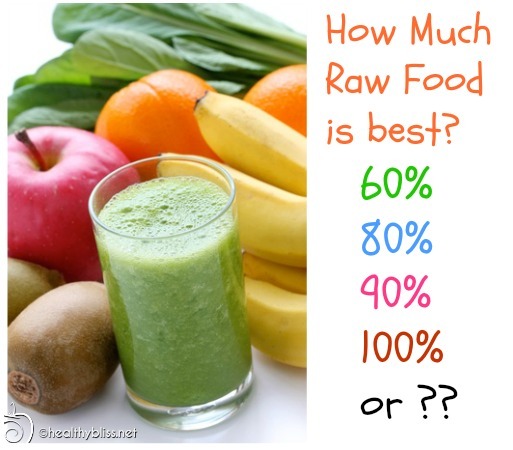 I would rather lose 1% of my ‘perfect rawness’ and eat clean, safe food than eat some crazy raw food chipotle taco that is going to make me sick for 2 days. Every time I’ve had to do that, I have been so happy with my decision! 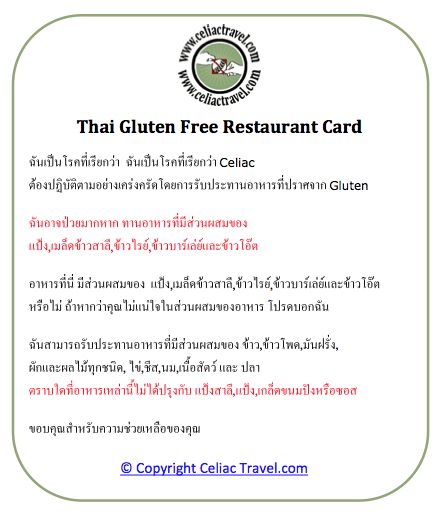 In addition to what I recommended above, definitely consider using the awesome restaurant cards for Celiac and Gluten-Free. 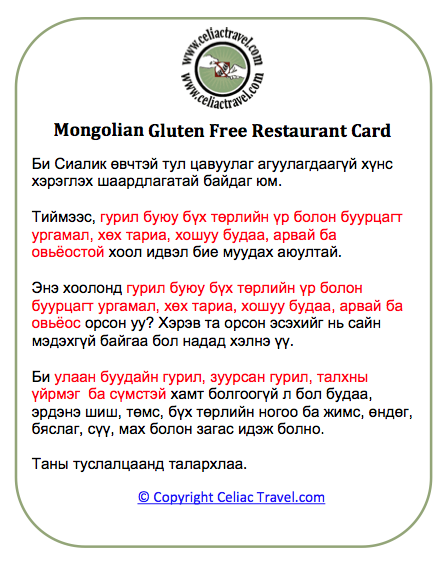 These are available for free from celiactravel.com and are available in 54 languages. If you combine using these cards with a little bit of know-how, you are much more likely to get a clean, safe meal. 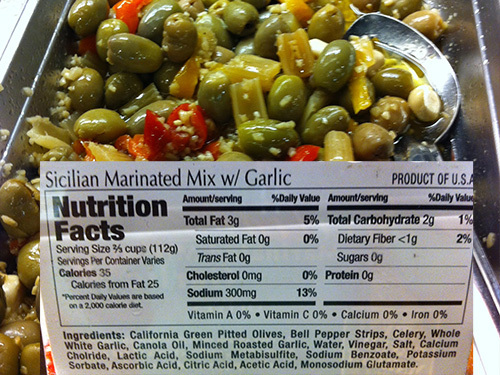 Remember, most foods that contain gluten also contain MSG. In many countries, it will be difficult (or even impossible) to explain what MSG and ribonucleotide are (hey, it’s difficult even in the USA!). By using the card, you are explaining in a concise, easy way that will less stressful for you and there is a much better chance that the chef will understand your request. In my case, I simply cross out the part about milk, eggs, cheese, meat and fish being ok for me to eat. It’s a good idea to laminate your card to keep it clean and readable during your travels. Don’t forget, It’s a good idea to laminate your card to keep it clean and readable during your travels. Enjoy your trip, and enjoy health travels! 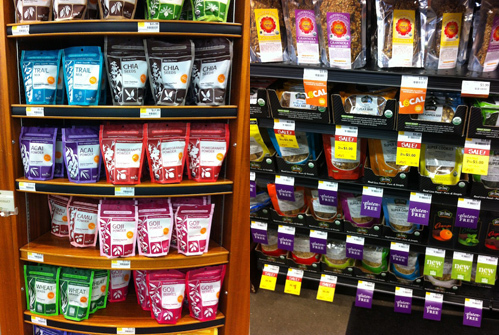 If you liked this article, check out my post on Why I don’t buy 90% of the ‘food’ at WholeFoods. Just when you think you are eating a natural, whole and pure diet, think again. It’s crazy that we now have to even check the label of the salt we buy, but it’s a true sign of the times. Can food manufacturers save money but ‘cutting’ their food the same way drug dealers ‘cut’ their drugs with fillers? You bet! And can the fillers be dangerous, the same way they can be in drugs? Absolutely! 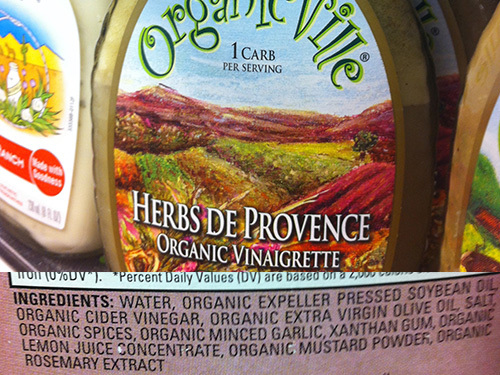 It’s an interesting story how I discovered the latest culprit in my food additive most ‘unwanted’ list. E535 or Yellow Prussiate of Soda (YPS) as a Non-caking Agent in Salt…What is it?? 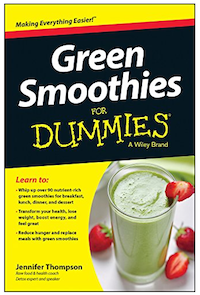 A client of mine recently completed a 10-day green juice fast and colon detox cleanse under my care. He broke the fast by eating only fresh raw fruits for 2 days and he felt amazing. On the third day of eating, he ate only fruits in the morning and the went to a friend’s house and ate a plain organic baked potato with salt (no butter, no margarine, no herbs or seasonings). That night, he suffered terribly with hot flashes, restless sleep (insomnia), headaches, irritability and general unease. At no point during or after the detox did he feel this way so it was a real surprise to him and he contacted me first thing in the morning. When we spoke, I was sure he had ‘snuck’ something else into his diet. He was adamant that he only had a baked potato and salt. To be clear, I asked about any allergies or intolerances and he confirmed that he has never previously had any problems at all. Finally, I said, “Ok, let’s find about more about the salt.” He want back to the friend’s house and found a Morton Sea Salt with the following ingredients: Sea Salt, Yellow Prussiate of Soda. What is Yellow Prussiate of Soda and why is it in salt? I thought salt was just salt?! Not anymore. It only took a fast bit of google research to realize that the Yellow Prussiate of Soda was what affected him. Just an additive in salt? Yes! 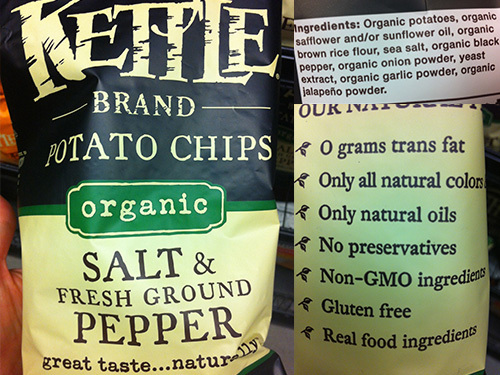 (What we should really be asking is Why does even plain salt need an additive now too??) Well, remember what I said about ‘cutting the drug’ with cheap fillers to make more money? Yep, it’s a sad, sick reality that the food industry is in the business of making money (NOT food). What is Sodium Ferrocyanide (Yellow Prussiate of Soda)? 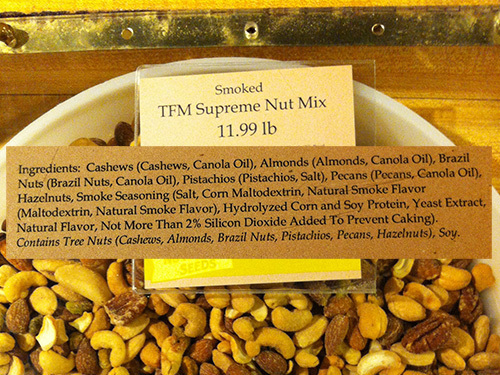 I don’t know about you, but to me, that definitely doesn’t sounds like something that is safe for human consumption! 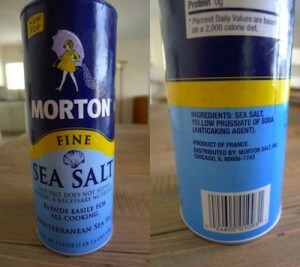 Just to be sure, I checked the Morton’s Sea Salt label again. I didn’t see anything about any warning of ingestion. 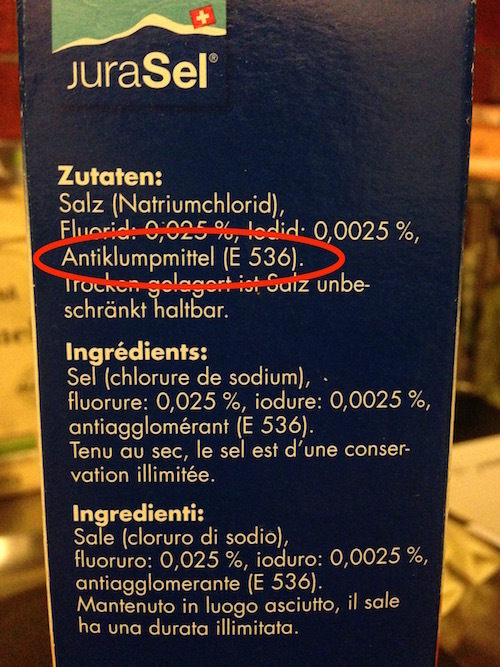 Well, it seemed pretty clear to me that my client suffered a serious side effect from the additive in this sea salt. Since he had just fasted for 10 days on juice, his body was even cleaner than most and I’m sure that’s why his body reacted. But how many people are reacting to this additive every day and have no idea that the cause of their troubles was in their sea salt? And how many children are affected, their bodies being so much smaller than an adult and therefore having the potential of a more serious reaction? I mean, a chemical additive made from cyanide?!?! As a consumer, I am asking you to reconsider your choice of toxic ingredients in your salt. Have you looked at the MSDS for Yellow Prussiate of Soda? I would not even take a bath in your salt for fear that the toxins would enter my skin (would you take a bath in arsenic???) Seriously, there is simply no need to add a chemical to salt. Salt is salt. This country needs more natural whole and pure and less poison. My client was awake all night last night with hot flashes, restless sleep and a headache after having potatoes with nothing but potato and your Morton Fine Sea Salt. 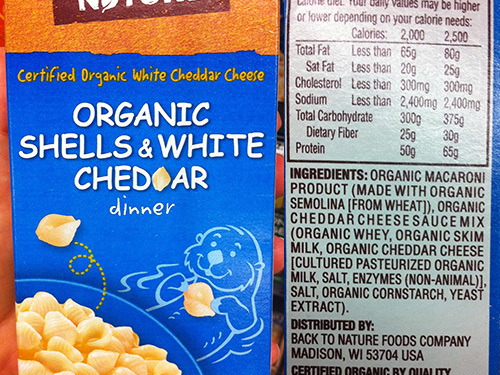 I am so sad to see what so-called food companies are peddling as food. I was so angry and I felt betrayed, because my client had trusted me, and I did not even think to warn him about eating salt!! It was an immediate reaction to the feeling that I want to protect people from this crap, and I didn’t expect a response. But, to my surprise, they responded immediately. They asked if I still had the sea salt and would I be willing to send it in for testing. A spark of hope entered my mind…maybe these food companies aren’t that bad, maybe they had a bad batch with too much of the Yellow Prussiate of Soda and maybe they are doing their best to resolve the issue. I really felt hopeful that somehow Morton was going to ‘fix’ this problem. I instantly replied, offering the sample and asking how it should be sent. They responded by asking for my address saying they would send a mail packet for me to return the sample to them at no cost. I was actually excited! Days passed and I did not receive the mailer. 2 weeks passed. 3 weeks passed. I thought, hmmm..this is strange. So I emailed Morton again asking for an update on the mailer. And guess what? They never replied. And they never sent a mailer. In short, they didn’t do anything. Should I have been surprised? Not really. All of this only confirms and reaffirms what I have been saying all along: The food industry is in the business of making money (NOT food). Even with ‘normal’ salt, you have to check the label. 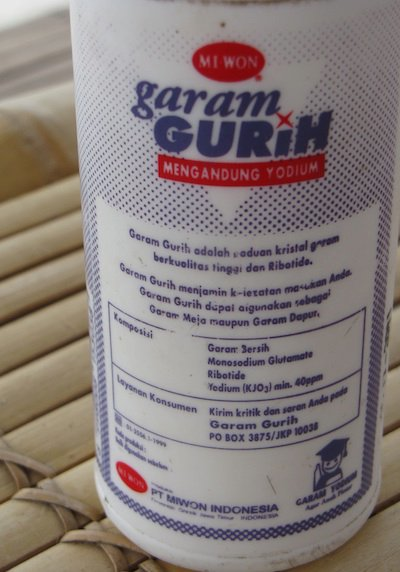 Look at this container of table salt I found in Bali, Indonesia at many ‘so-called’ health food and even raw food restaurants…yes the second ingredient on the list is Monosodium Glutamate (MSG), and it’s right there in the label for the world to see. 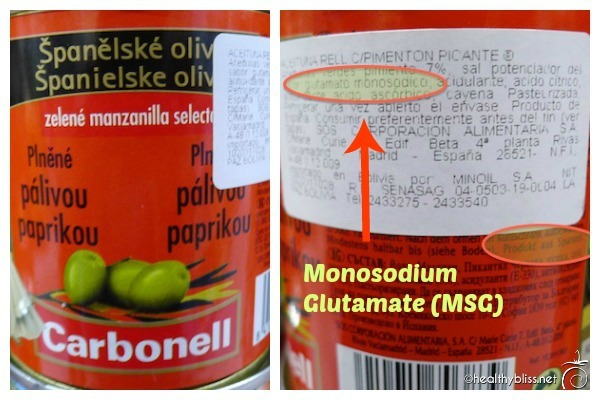 The third ingredient is a new way of listing Ribonucleotideas ‘Ribotide,’ another excito-toxin food additive and flavor enhancer that can give you the same reaction as MSG and an uncontrollably itchy rash to boot. So if you got a screaming migraine headache after eating your hippie raw food salad next to the rice fields in Ubud, it was probably not from the spirits or the full moon. Do you see Anticompactante YPS on this list of ingredients? Here is yet another offending salt I saw when I was recently in Costa Rica. 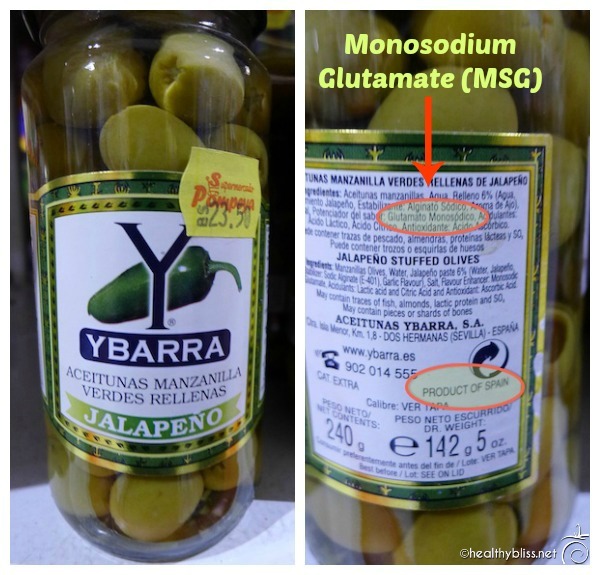 Do you see the ‘Anticompactante YPS‘ on this label? That sure sounds like Yellow Prussiate of Soda to me! Luckily I found this on my first morning in Costa Rica, and I avoided adding any salt to my salads for the remainder of my stay. People think I am crazy for pointing this stuff out, but do you know how many people suffer from headaches, anxiety and insomnia and are on medications for it? What’s crazy to me is that I am the only one talking about this!! For anyone who has done a detox, juice fast, colon cleanse, liver flush or raw food diet, please be aware that when your body is cleaner, you will most definitely be more sensitive to these types of chemical additives, and you may find yourself reacting to a food that previously you were able to eat with seemingly no problem. Get into the habit of reading all of your food labels, including salt! And again, another salt I found, this time in Colombia (and also Ecuador). 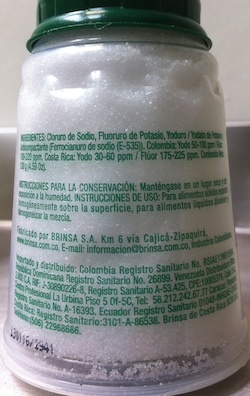 In this salt there is added fluoride, which most expats in South America know is bad so many already don’t buy it. But, no one seems to be talking about the obvious offender. Do you see ‘Ferrocianuro de sodio [E-535]‘ on this 130g. container of Refisal brand Sal? 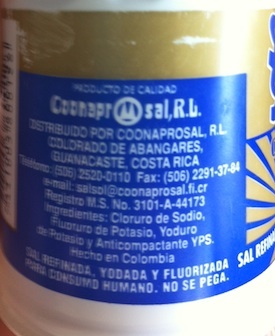 In Spanish, you may also see it listed as ‘amarillo prusiato de soda (YPS)’ on a label. Both of these are, yep you guessed it….Yellow Prussiate of Soda. E-535 is the universal food additive number for this chemical additive. In some countries, the additive name – Yellow Prussiate of Soda – will be listed on the food label, and in other countries you will see the chemical additive number. As a number, Yellow Prussiate of Soda can be listed as E535, E-535 or 535. In the above example, they’ve listed both. Yet another example is this so-called “heart healthy” salt sold in Israel. As you can see, it contains E535 right there on the label. (By the way, the “normal” unhealthy salt in Israel also contains Yellow Prussiate of Soda too!). 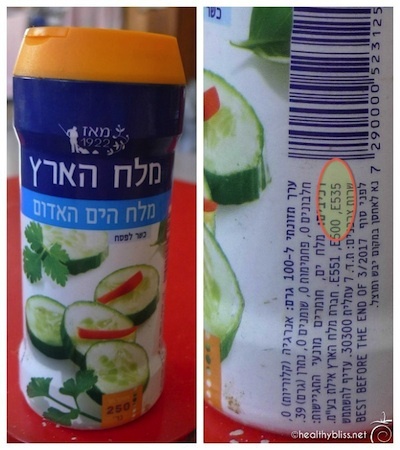 This “healthy” salt in Israel contains E535 or Yellow Prussiate of Soda! 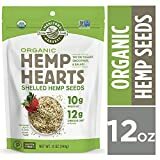 Since I’ve been made aware of this additive, I have noted people’s reactions to it, anything from hot flashes, itchy rashes, red bumps on the skin, cracked skin rashes, irritability, increased heart rate, achy joints and insomnia to general malaise. When removing the chemically-infected salt from their diet and replacing it with a Himalayan or pure sea salt with no additives, all symptoms disappeared, permanently. Sea salt from Holland containing E536 or Potassium ferrocyanide. I personally use medium/coarse Himalayan salt crystals in a grinder. 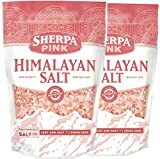 The brand I recommend is called Sherpa Pink Himalayan salt, available for sale in 5-pound bags on amazon HERE. 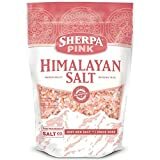 Sherpa Pink Gourmet Himalayan Salt, 10lbs Fine Grain. Incredible Taste. 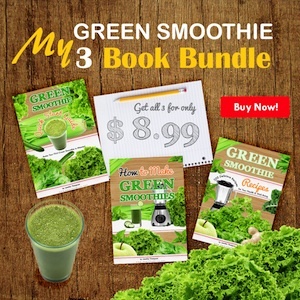 Rich in Nutrients and Minerals to Improve Your Health. Add to Your Cart Today. (AP) Food maker Nestle USA on Friday voluntarily recalled its Toll House refrigerated cookie dough products after a number of illnesses were reported by those who ate the dough raw. The company said the Food and Drug Administration and the Centers for Disease Control are investigating reported E. coli illnesses that might be related to the ingestion of raw cookie dough. In a statement, the FDA said there have been 66 reports of illness across 28 states since March. About 25 people have been hospitalized, but no one has died. The FDA advised consumers to throw away any prepackaged, refrigerated Nestle Toll House cookie dough products in their homes. 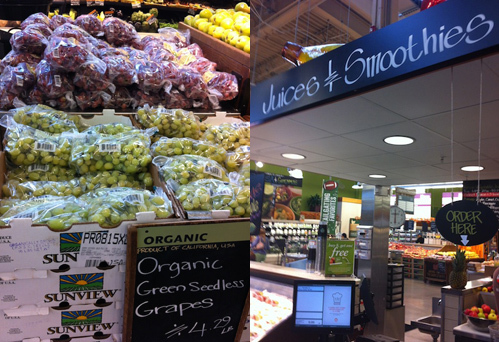 Retailers, restauranteurs and employees at other food-service operations should also not sell or serve any of the products. Nestle spokeswoman Roz O’Hearn said “this has been a very quickly moving situation,” adding the company took action less than 24 hours after hearing of the problem. 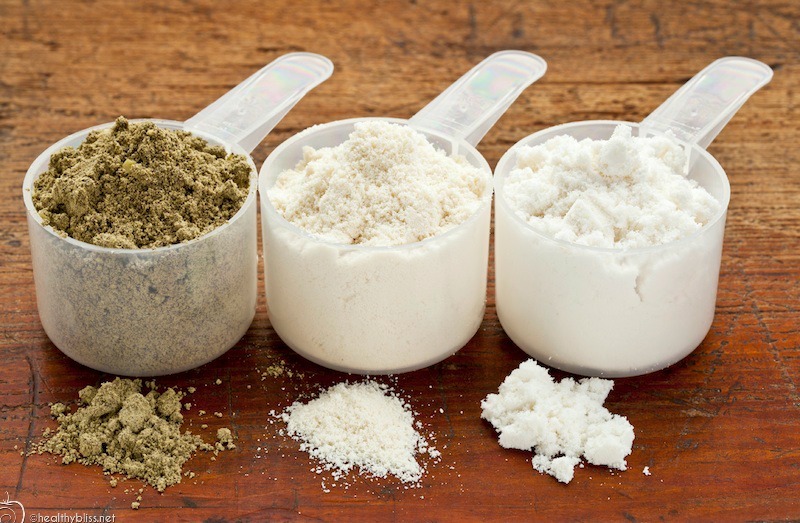 O’Hearn said the company will “cooperate fully” with the FDA’s investigation. The recall includes refrigerated cookie bar dough, cookie dough tub, cookie dough tubes, limited edition cookie dough items, seasonal cookie dough and Ultimates cookie bar dough. It does not affect any other Toll House products. E. coli is a potentially deadly bacterium that can cause bloody diarrhea, dehydration and, in the most severe cases, kidney failure. Click here to view the original article from CBS news.com. 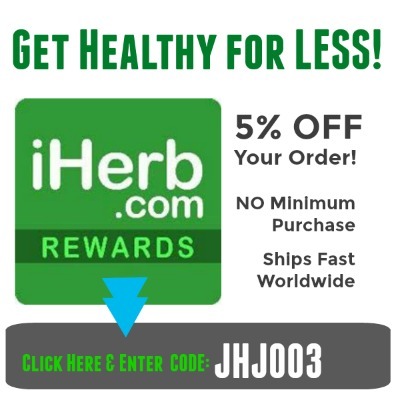 https://healthybliss.net/bliss/wp-content/uploads/2009/06/ecoli.jpg 183 244 Jennifer Betesh https://healthybliss.net/bliss/wp-content/uploads/2014/11/hb_logo_01.png Jennifer Betesh2009-06-19 08:52:112016-01-05 19:18:43Another reason to Avoid Processed Food - e.coli in Nestle cookies!